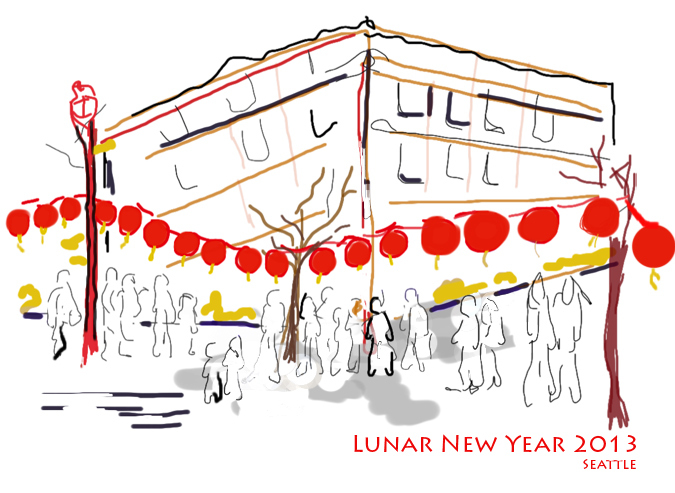 Urban Sketchers Seattle: More Lunar New Year! So great to see so many Seattle-lites enjoying the festivities. I only had a half hour to sketch, so took out my ipad to get a quick impression with the Brushes app. I am finding it helps me feel more spontaneous. Nice flow across the page, Beth!